The official arrival of Apple News last week brought a reminder that there are tons of customizable news-gathering apps out there. Some even serve like RSS readers to collect the top stories on topics you actually care about. Yes, Flipboard and its ilk are still around, but here are a few news apps to consider if you don’t use one already. Apple News for iOS 9. 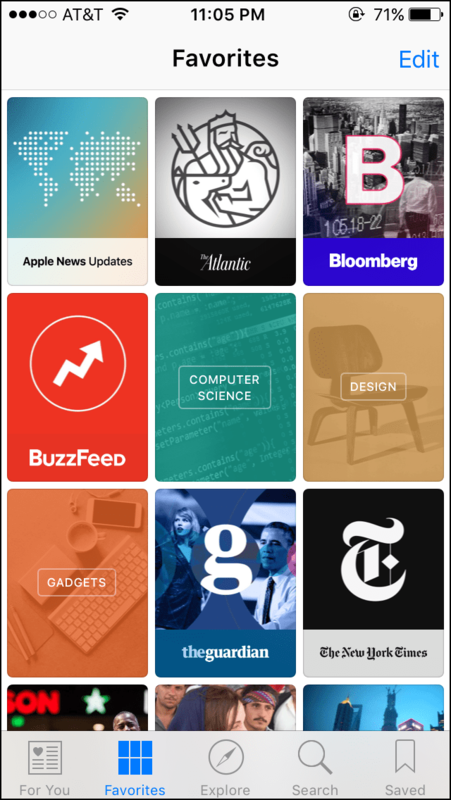 Fresh out into the open, Apple’s elegant news reader invites you to tap through a series of tiles representing your favorite newspapers, magazines, blogs and other information sources — plus your favorite general topics — and set up your own personalized current-events feed. Once you create your news preferences, you can tap the For You button to see the headlines and the stories behind them. The Favorites area lets you select a specific news source, or topic like The Atlantic or Gadgets. Tap the Explore button to see suggested topics and channels. You can also search and save stories. Some news outlets have even said they’ll release exclusive content for Apple News. 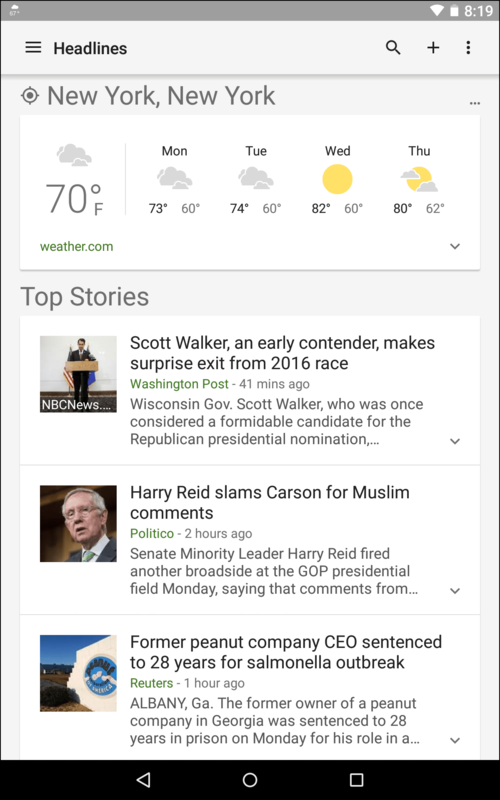 Google News & Weather for Android and iOS. If you love Google News on the web, this standalone app takes you right to your personalized feed without having to dig through menus in the Google Mobile app or web site. The app pulls in news from 65,000 sources around the world. Once you select a story, you can tap it to drill down into other sources, opinion pieces, videos and more about that topic. You can easily swipe through your favorite news subjects and add them. Oh, get your local weather, too, if you let Google News pick up your location settings. Nuzzel for Android and iOS. 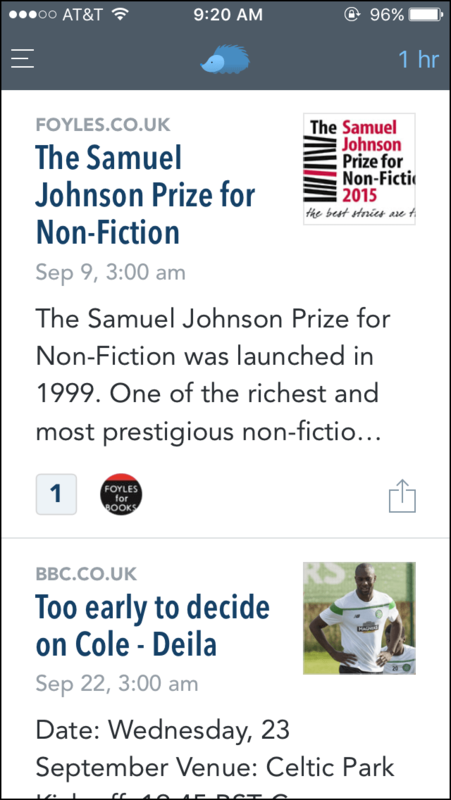 Unlike an app that gathers news using its own algorithms to crawl across the World Wide Web, the Nuzzel app grabs its headlines from what your friends are posting about on Facebook and Twitter. You do have to give the app permission to see your followers and friends lists, but it does help you keep up with what everybody else is talking about. So that could be helpful, especially when people are all up about momentary distractions like Pizza Rat. Others. If you want a straight up news service app, there’s the Associated Press’s AP Mobile app for Android, iOS and even Windows Phone. Likewise the Reuters news app works on all three of those platforms and has a version for the Amazon Kindle Fire tablet, too. 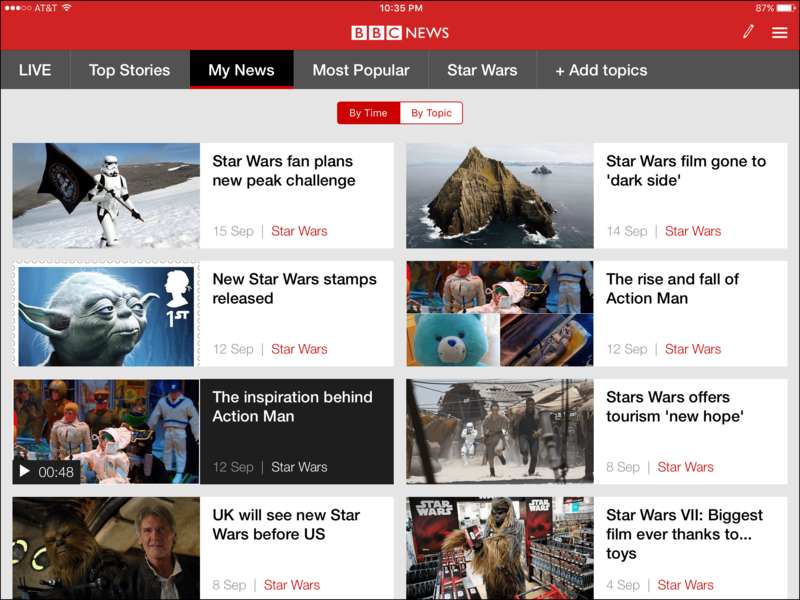 The BBC News mobile app (shown above) got redesigned earlier this summer. In addition to online stories created by BBC journalists, you also get a live stream of BBC World News Radio. The app is available for Android and iOS and you can set up your own list of personal topics of interest. 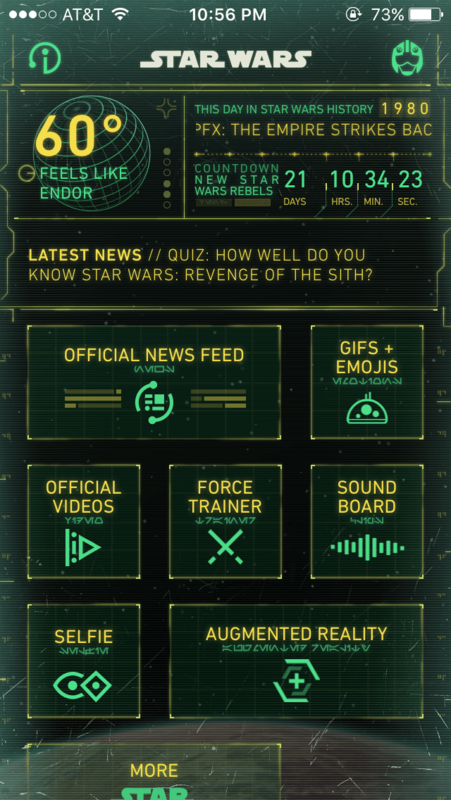 And one of those topics can be Star Wars, but if you want all Star Wars news, just get the Star Wars app. Seriously.